A natural area for diversification for Upton farm was to introduce the oldest of it's lakes as a fishing attraction, being over 100 years old, with established reed beds, shrubs and plants it attracts a range of wildlife, in turn helping sustain the Bream, Carp and Perch that breed naturally in the lakes. A second lake was introduced over 10 years ago. 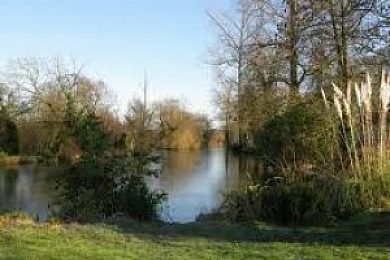 The healthy fish stock and the tranquil setting of Upton Lakes have been a favourite for coarse anglers for more than 20 years. Holiday acccomodation seemed the next natural step to take in this ever evolving business.